Just Like Having A Tour Guide In Your Car™ for all of Maui, Hawaii. GyPSy Guide GPS driving tour of Maui is an excellent way to explore the entire island. There are 450+ audio points that play automatically, featuring what to see, stories, tips and advice. All the benefits of a guided tour, the freedom to drive yourself. TOUR GUIDE AS YOU DRIVE AROUND MAUI If you like driving yourself when you go sightseeing, GyPSy Guide™ tour apps allow you to enjoy a guided tour experience to places like the Road to Hana, while remaining totally independent. By driving yourself, you'll be able to get from place to place faster, see more things and not be tied to anyone else's schedule. DON'T MISS OUT ON THE BEST SIGHTS AND STORIES The tour apps use your device’s location abilities to play the commentary AUTOMATICALLY. All you have to do is drive, listen and decide which places you want to stop at. Our tour guides have created an insightful and entertaining tour of Maui. We’ll recommend the best places to experience and some great locations that most visitors will drive by. 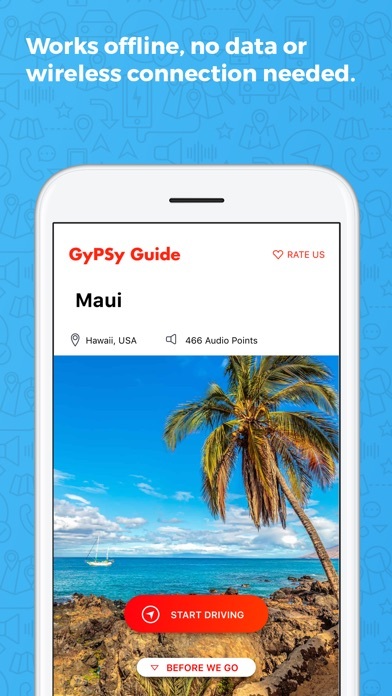 PLAYS AUTOMATICALLY GyPSy Guide knows where you are and which direction you are heading, and plays commentary automatically about the things you are seeing, plus stories and tips and advice EXPLORE LIKE A LOCAL It’s just like having a local friend to show you around. And that friend just happens to be a professional tour guide. GREAT VALUE The same information you would get on a bus tour or from a guide book, for just a fraction of the price. And you control the itinerary and schedule. WORKS OFFLINE No data, cellular or even wireless network connection needed while touring. Download over Wi-Fi before you tour. Anyone can use them with no need for roaming data – even visiting from another country. DRIVING TOUR ROUTE The tour has commentary everywhere on the island that you will want to explore. There is at least 3-4 days of sightseeing available to enjoy. This tour includes the most popular sightseeing areas, famous drives and much more: 1) The Road to Hana 2) Haleakala - the Volcano Reservations are required to visit for sunrise. 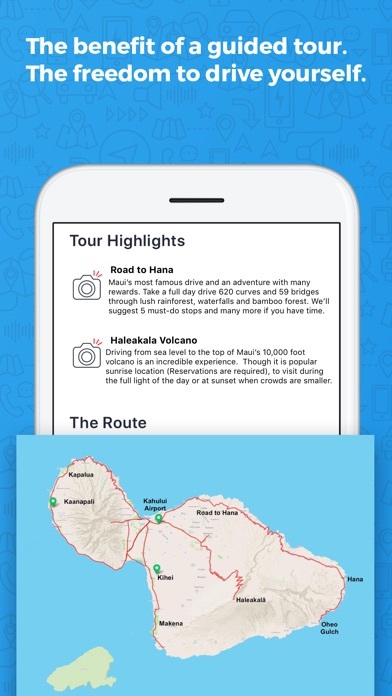 3) West Maui including Lahaina, Ka'anapali, Kapalua and Kahakuloa 4) Kihei, Wailea and Makena 5) Iao Valley 6) and all the routes that connect these amazing places, NOTES Download the app on Wi-Fi from your network at home or use any free Wi-Fi network. Because the app is filled with audio commentary and maps, its larger than "normal" apps. Many phone/data networks may block the download because of size - so its important to download over a Wi-Fi network. ++ Continued use of GPS running in the background increases battery usage - we strongly recommend taking a cigarette style DC outlet car charger. This is much better than simply plugging into the USB port in a vehicle. ** iPad users - please note that WiFi-only iPads will not activate the commentary automatically. Any iPhone or network-capable iPad (WiFi + Cellular - whether you have a network connection or not) will work just fine. ABOUT US GyPSy Guide™ produce award winning audio tours along scenic drives around the world. Enjoyed by travelers who prefer to set their own pace and itinerary on vacation, but enjoy a fun, informative and educational guided experience. Our goal is to provide a great introduction to the region and perhaps inspire you to learn more and return. None of our apps include paid advertising or placements for benefit. 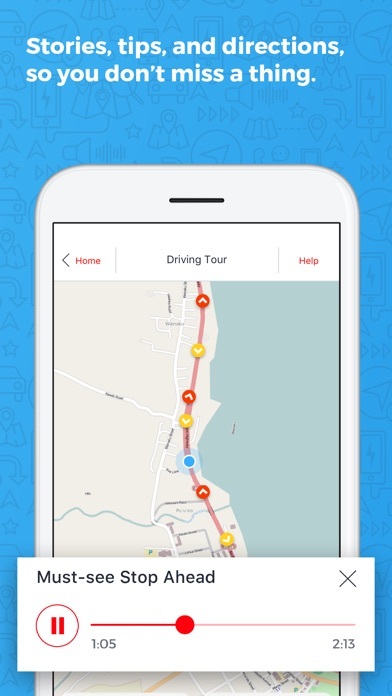 We purchased this app for our drive to Hana. It was so helpful to get recommendations on where to stop, as well as tips as to how to navigate the roadway. It felt like the narrator was in the car with us. There were numerous times we asked allowed things like “Did we miss it?” or “Where do we park?” The narrator chimed in with an answer just as we needed it. This app was so well done, with interesting commentary. We learned so much a on our drive! It was better and far cheaper than any tour option we could have taken and allowed us to go at our pace. We liked it so much that we went on the purchase the app for all of Maui, and are looking at mainland destinations that we can use for future vacations! Get the app for your drive to Hana... you will have no regrets! 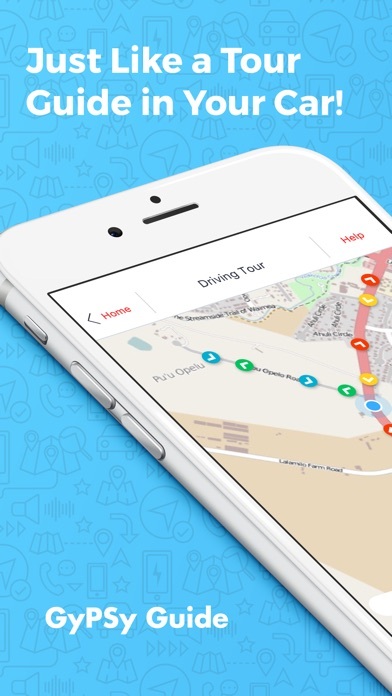 This app seemed promising after several strong reviews and recommendations, but falls so extremely short. Lacks clear direction, could more effectively provide detail as to when to turn off (Hana) and specific mile markers, and did not address stops on way back for things we missed the first time (we stayed out in Hana so split this in half.) Great idea, just not there on delivery.. If I could give this 10 stars I would. Very well done!! I rarely rate or review apps, but I felt this one was rare enough to write something. This is the best $10 you can spend while visiting Maui. 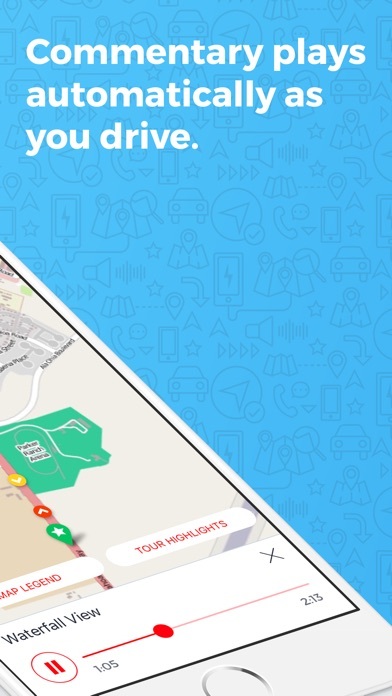 It's a great app for sightseeing. Don't be on the fence about this one. It's the price of a beverage. Use it. Great “friend” to road trip with! We have loved guided tours since Tom Brokaw narrated South Dakota in the ‘80s. This tour guide is one of the best yet! His voice sounds like an old friend. We followed all his recommendations and this saved us from our typical uninformed discussions of what to see. Well worth the $10. I bought this primarily for the road to Hana but thought an added perk would be for having it all the way for Maui. If your looking for only five stops to Hana this is your guide. If you want to know what all to actually look for this is for sure not your guide. My wife and I have been to Maui several times and we always load up this app when driving. Very useful for finding where to stop and visit. The commentary is nicely done. Love the narrator. The app does get updated with new narration every year or so, so we are always discovering new things. I have used Gypsy guide in BAnff and Jasper and thought it was fantastic. We drove to Hana and it was disappointing on what little it said. Actually turned it off on our way back. Not worth the 9.99 I paid.